We have been discussing why application developers can't ignore their stack anymore in the App Dev Cloud Stack series. We talked about the various layers from the bottom up, but have yet to provide you with any application development tooling beyond the Red Hat Container Development Kit (CDK). All you have so far is an easy to install project called the Container Development Kit Install Demo. That is about to change with this article, so read on. 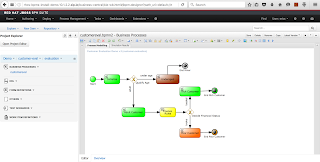 We have been providing an array of JBoss BRMS and JBoss BPM Suite demo projects, mostly leveraged by application developers by installing them locally. We did provide a simple containerized installation generation option based on Docker, but this was also rather trivial to your local machine hosting the container. Today we move into the Cloud to provide you with real application development based on the Cloud stack as described in our series. 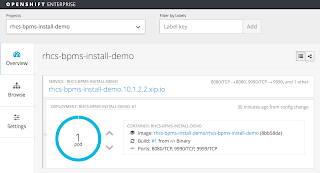 The first installment is a basic JBoss BPM Suite product installation on the OpenShift Enterprise layer of your stack, provided by our Red Hat CDK installation. 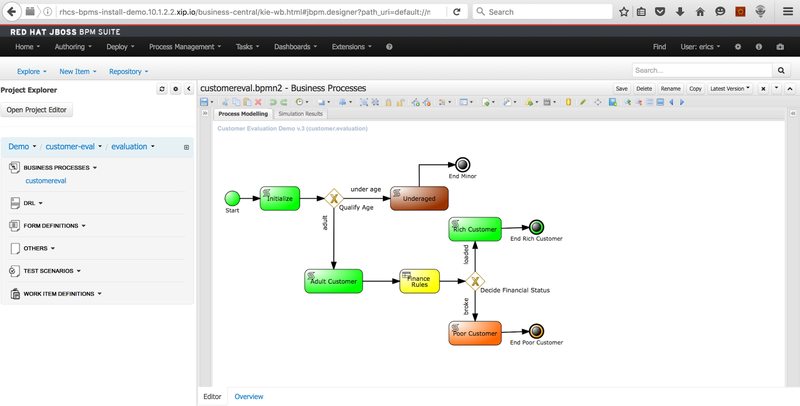 JBoss BPM Suite floating on OSE Cloud! 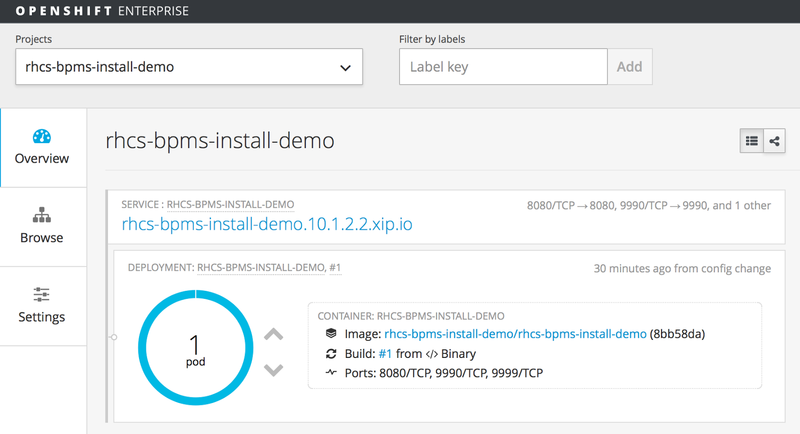 You can now fully demo and leverage a JBoss BPM Suite through the business central web console running containerized on an OSE pod. We will be leveraging previous work that installs the Red Hat CDK. The Red Hat CDK is packaged into a RHEL 7 virtual machine that you can start on your machine after installing this project. There are several choices provided with pre-configured installations, but they all include the basic setup for Docker and the tools needed to start leveraging Docker based containers. Fully operational, imported existing project! First complete the installation and start the OpenShift image supplied in the cdk-install-demo. 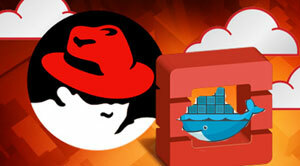 Install OpenShift Client Tools if you have not done so previously. Run 'init.sh' or 'init.bat' file. 'init.bat' must be run with Administrative privileges.